How to style a country western chic outfit: buckles! How to style a country western chic outfit? One of the season's trends that, as you already know, makes me all excited is country western related. Buckles are the answer! Western buckles everywhere and besides them, a floral maxi skirt can be a great idea for a western look, especially if paired with a ruffled jeans shirt and texan boots!. Buckle belts and buckled bags are great also in "normal" looks, for a trendy touch. Come comporre un outfit western chic? Uno dei trend di stagione che, come già sapete, mi rende molto felice, è inerente al country western. 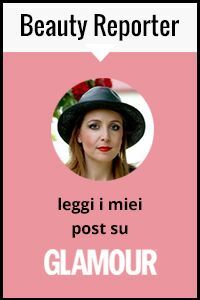 Le fibbie sono la risposta! Fibbie Western come se piovesse, e oltre a esse, una maxi gonna floreale può essere una ottima idea per un look western, specialmente se abbinata a una camicia jeans con rouches e boots texano!. Le cinture e borse con fibbie sono fantastiche anche in look "normali", per un tocco trendy. I've never seen a "ruffled jean shirt" before -- it's delightfully feminine. By the way, when I was wearing an elegant dress yesterday (pics on blog), I thought to myself "This is how my friend Vale must feel when she dresses so beautifully." :-) Thanks for the inspiration.